Random Handprints - A NYC Mom Blog... live from New Jersey: Halloween Decorations: When is Too Early, Too Early? A humor parenting blog with a focus on family travel and great things to do with kids in New York and New Jersey. Halloween Decorations: When is Too Early, Too Early? 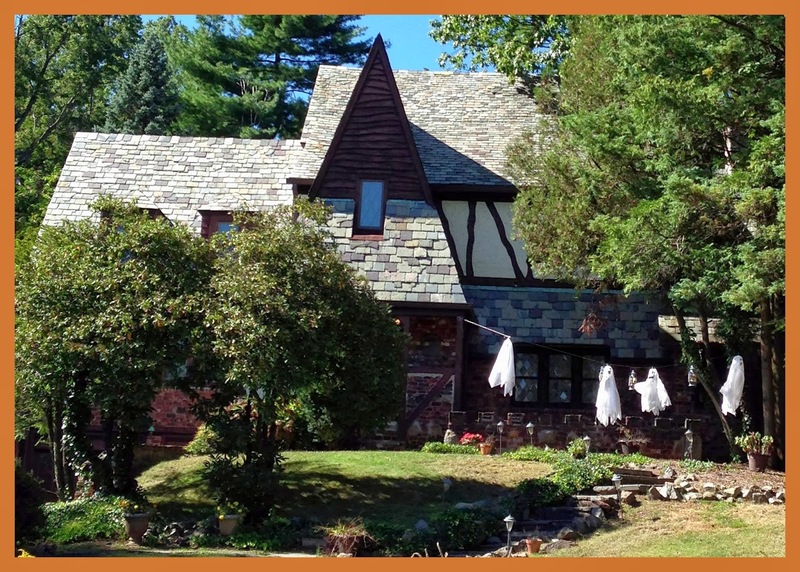 When, ideally, should Halloween decorations festoon our homes? I say October 1 at the very earliest, and really more like October 15 is ideal. And yet, my neighbors seem perfectly fine having their Halloween flair out while it's still September. Which just seems way too early to me. What do you think? The fact that I already see Christmas stuff in stores makes me think that America has gotten into the habit of celebrating any holiday 3 months early. It's ridic. In their defense, if you have a cool Halloweeny-looking house like that, you have to get all the mileage you can out of it. Better Halloween decorations in Sept. than Christmas lights! Pin Wins All Day Long! All the Handprint Crafts - in one easy list! Talk Like a Pirate Today!